Brenda Hunter was born in Whittier, California, and grew up singing four-part harmonies with her family. She studied several instruments and voice, graduating with honors in music education. Brenda is a veteran of numerous ensembles, from Renaissance to rock, and legend has it she once wore a tiger-striped dress while playing 'Tequila' on her saxophone at a gig. 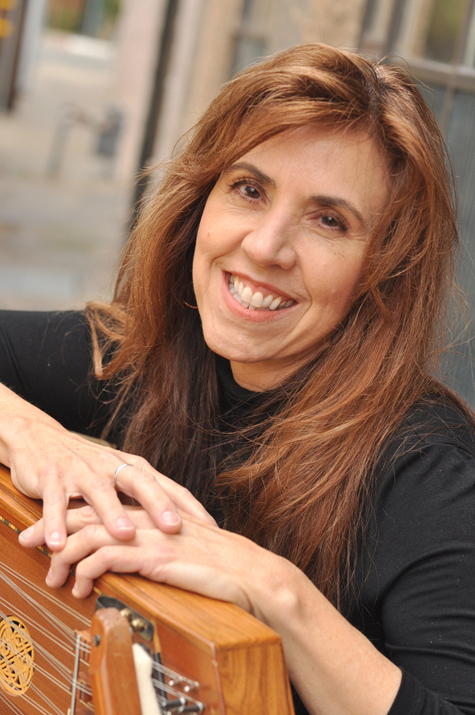 She discovered the hammered dulcimer in 1993, while living in Indonesia with her husband and children, and three years later won the National Championship on that instrument. Equally accomplished as a fiddler and a composer she has a book of Irish tune arrangements for hammered dulcimer.